Spon's Manual for Educational Premises is an essential reference book for planning, building, remodelling, repairing, maintaining and managing a wide range of both modern and historic educational premises. It contains clear, practical guidance for local authorities, head teachers and governing boards responsible for planning, costing, commissioning, supervising and paying for building work and maintenance services. 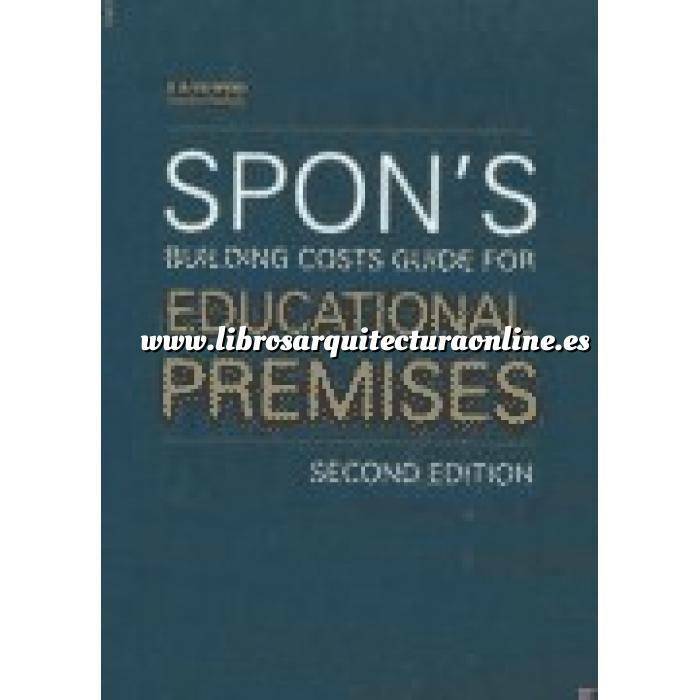 The book is equally essential for architects, surveyors and other professionals and contractors carrying out work in the educational sector. The third edition has been revised to respond to the evolution of new teaching methods and technology, the development of vocational training and to meet new mandatory regulations relating to children who require special care. The book focuses on cost and performance, including PFI and PPP criteria, but with added emphasis on economic planning to improve standards in design and performance to meet detailed educational needs. 1. Planning the Cost of Educational Premises. 2. The School Village: The Cost and Use of Activity Areas. 3. Cyclical Maintenance for Educational Premises. 4. Unit Rates for Measured Building Works for Educational Premises. 5. The Administration of Building Projects.